One of my favorite summer time treats is a popsicle! There is just something about nibbling on that frozen goodness that takes me back to childhood summers when we used to ride our bikes around all day long and end the day with delicious popsicles at any one of the neighborhood houses. I still love popsicles, but I am an adult now, and as much as I loved those twin cherry popsicles as a kid, I crave something a little different now. 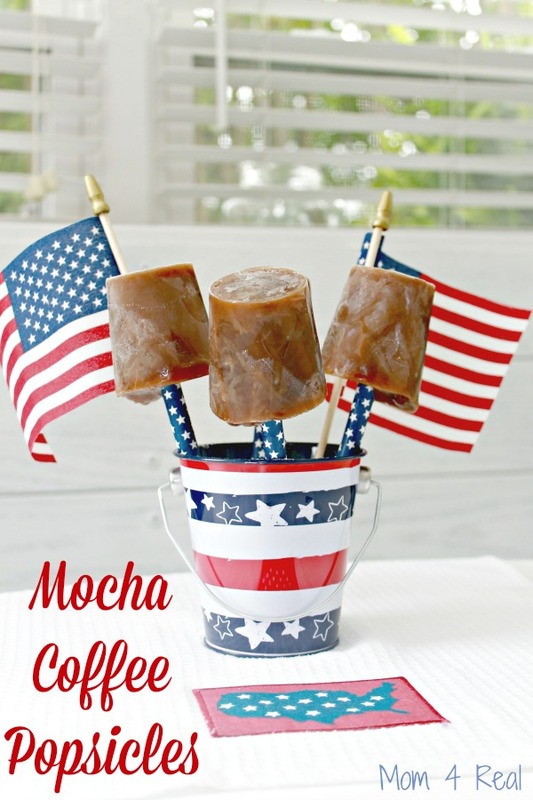 I love the taste of my favorite International Delight Mocha Iced Coffee, so I decided to try and make some “adult” popsicles using it. 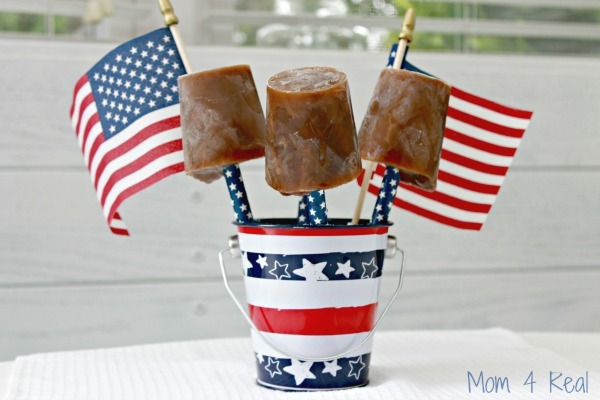 They turned out amazing, and are just the right kind of popsicle for me! 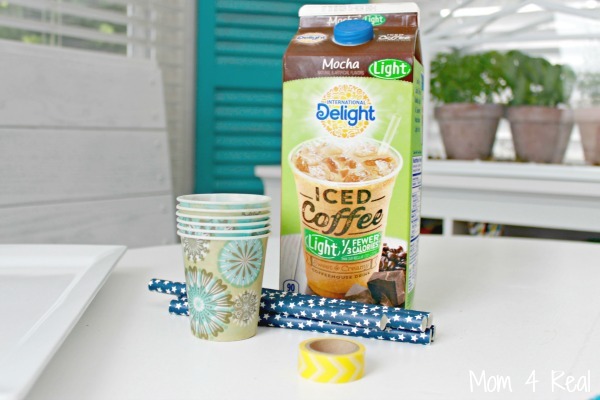 All you need to make these mocha coffee popsicles is some International Delight Mocha Light Iced Coffee, some dixie ups, paper straws and tape. I’m using washi tape because it’s so easy to remove. 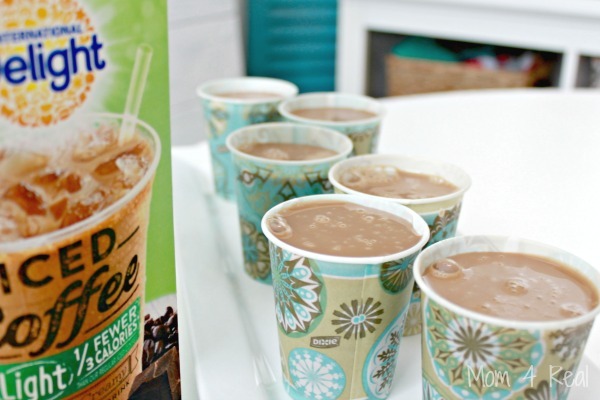 Simply fill your cups with iced coffee and place them on a tray of some sort so they don’t spill when you put them in your freezer. 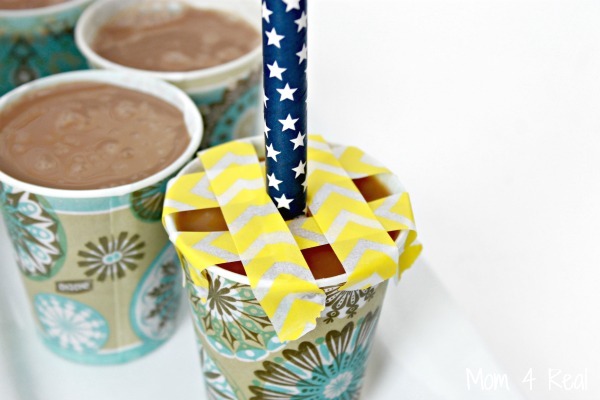 Now make a grid using your tape to hold your straw in place during the freezing of these fabulous popsicles! Once they have been in the freezer for about 4 hours, they should be ready to eat and share! I filled a bucket that I found in the Target Dollar Spot with sugar to hold my popsicles up and popped them down in there for sharing! A few flags make it a little more festive too. As you can see, I also used large paper straws from Target’s Dollar Spot too. I think they would make a great 4th of July treat for your adult friends! And maybe you can make some other ones for the kiddos using juice! Be sure to sign up for International Delight’s Newsletter, and follow them on Pinterest, Instagram,Facebook and Twitter too!This conversation is sponsored by International Delight. The opinions and text are all mine.